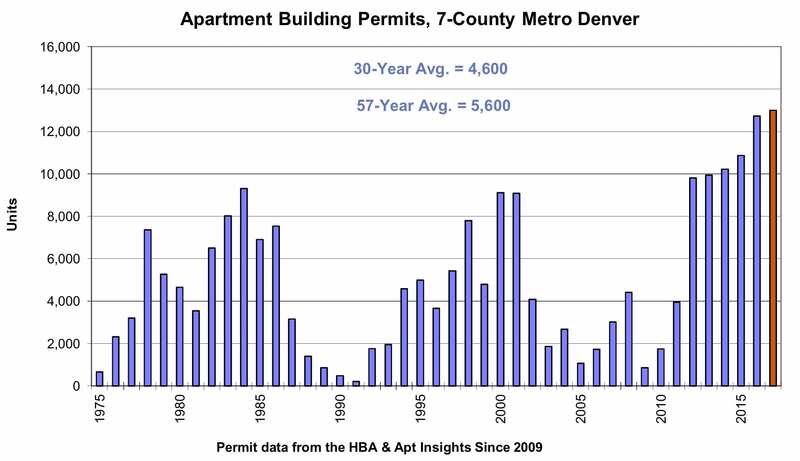 A snapshot of apartment absorption in the Denver area. Source: ARA, a Newmark company. The late George Wallace, founder of the Denver Tech Center, told me in the 1980s that the absorption rate was the single most important metric for measuring the health of a real estate market. That was an era when Denver’s economy was being hammered by a drop in oil prices and changes in tax laws. Headlines were not focused on the absorption rate at the time. Denver had the highest office vacancy rate in the nation. Sublease office space in Republic Plaza was auctioned off and the top bid came in at 10 cents per square foot. The auction was reported in business sections across the globe. 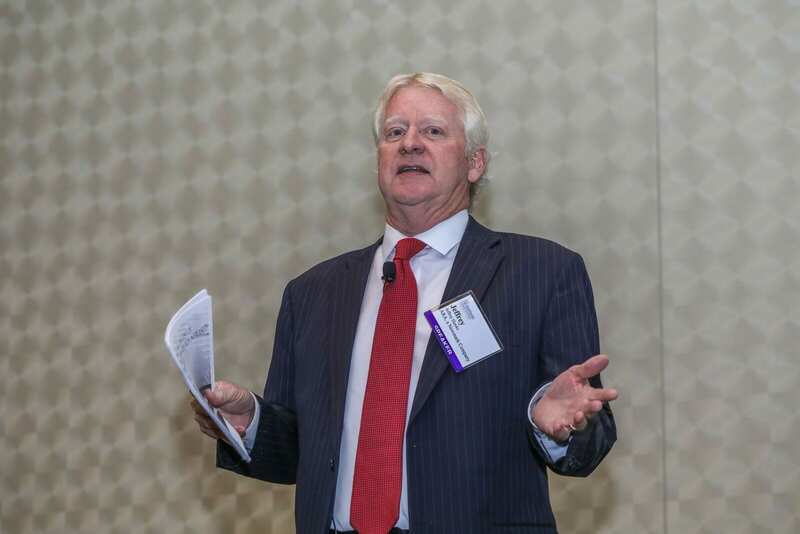 Cary Bruteig is shown making a presentation at a recent Colorado Real Estate Journal conference. Photo credit: Rocky Mountain Photography. Wallace, an engineer by training who died in 1996, felt that absorption measured the health of commercial real estate because it showed the direction an asset class was moving better than any other single metric. Net absorption measures the difference in occupied space between time periods. Absorption can be positive or negative. If you were leasing 100 square feet and downsized to 50 sf, you would have shown negative absorption of 50 sf. If you had 100 sf and expanded into 150 sf, you would show positive absorption of 50 sf. While Wallace was talking about office space – there were no apartments in the tech center at the time – absorption also is a multifamily metric that is worth exploring. But let’s face it. Most of the multifamily headlines understandably focus on high rents. Yet, the Denver area’s multifamily market in 2017 already has absorbed close to 12,000 units, the strongest absorption in more than 25 years, according to research by the Denver office of ARA Newmark. “Apartment absorption is being driven by four factors: population growth, millennials, a drop in the homeownership rate and job growth,” according to Jeff Hawks, a vice chairman and a top apartment broker at ARA. And while many of the cranes dotting Denver’s skyline are for apartment buildings, Hawks noted that 2.9 jobs have been created for every multifamily building permit issued in the metro area from 2005 to 2015. 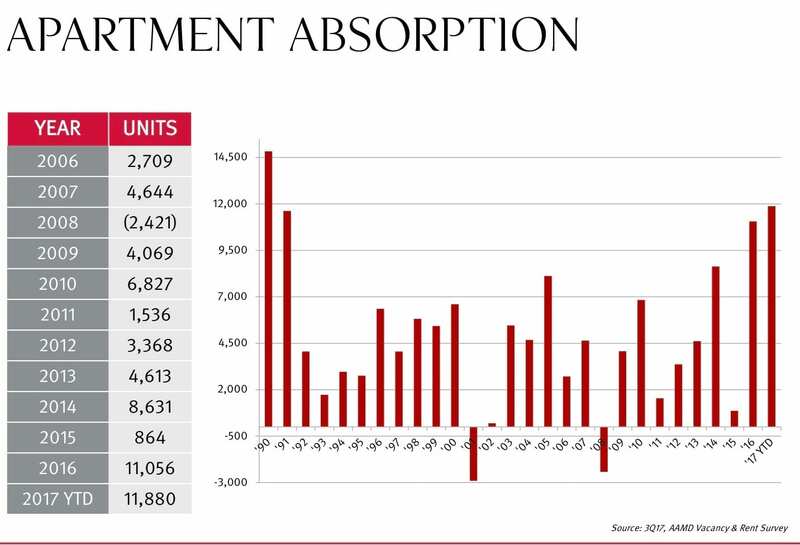 Meanwhile, at the 2017 Fall Multifamily Development & Investment Conference & Expo last month, absorption was one of the first statistical measures highlighted by appraiser Cary Bruteig. “Downtown Denver absorbed 694 units” in the third quarter, Bruteig, owner of Apartment Appraisers & Consultants, told the more than 550 brokers, developers, investors, architects and lenders attending the conference, which was sponsored by the Colorado Real Estate Journal. “That is good, really good. It was the best quarter ever” for downtown, said Bruteig, who also publishes Apartment Insights, with detailed statistics on the multifamily market, including individual apartment buildings and communities. The 694 units accounted for 29 percent of the 2,407 apartment units absorbed in the entire market, Bruteig noted. It not only was a record for downtown, but also “no single submarket had experienced such strong absorption in one quarter,” at least in recent memory, he added. That is particularly significant because many observers are most concerned about overbuilding in downtown and nearby neighborhoods, where the lion’s share of new apartment construction is taking place. Downtown overbuilding is especially a concern because only luxury towers are being built in downtown and they all have sky-high rents. “With almost 30 percent of the units taken down in one quarter, downtown is performing pretty well,” Bruteig said. Yet, no single metric tells the entire story, and that is true about absorption as well. 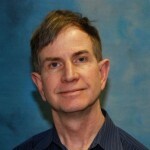 Jeff Hawks at last month’s Multifamily Development & Investment conference sponsored by CREJ. Photo Credit: Rocky Mountain Photography. Rents in downtown actually “are down $2 per sf,” from a year ago, Bruteig said, even though the average monthly rents in downtown tops $1,800. You would have to go to North Boulder to find a submarket with higher rents. “How can that be? Why would rents fall?” at time when absorption is so strong, Bruteig asked. “That is because we built more units than we absorbed downtown,” Bruteig said, answering his own question. Year to date, 2,082 units were added and 1,440 units were absorbed, “leaving an excess of 642 units,” Bruteig’s math shows. Over the past three years, 4,816 units have been added downtown and 3,742 have been absorbed, he added. “We now have more vacant units downtown than we did three years ago,” Bruteig pointed out. Not only have apartment rents fallen downtown but also vacancies have been rising, he said. The central business district vacancy rate is now just above 6 percent and it is possible it could be heading over 7 percent, Bruteig said. 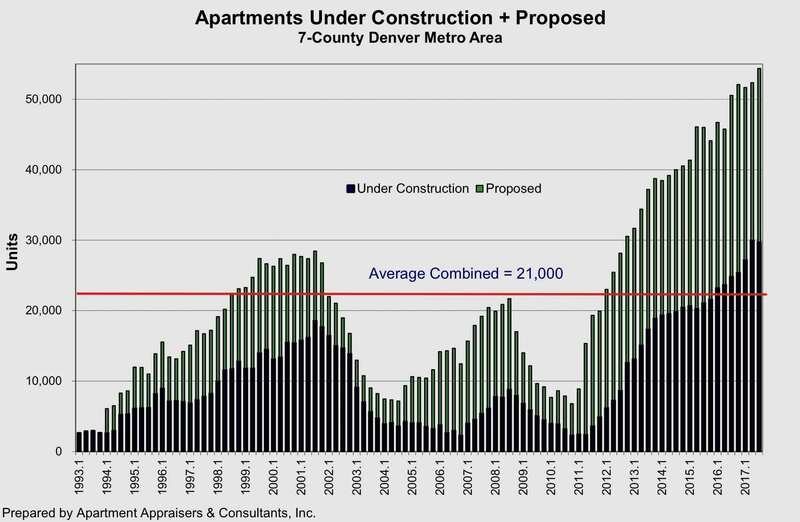 There currently are 6,650 apartment units under construction in the Denver area, with thousands more on the drawing board. “That means we we need to absorb 6,650 units” during the next two years, Bruteig said. Based on the current absorption rate, that means there is a 3.7-year supply of apartments on the market, Bruteig said. What Bruteig said next reminded me of the conversation (or, rather lecture) I received from George Wallace all those years ago. 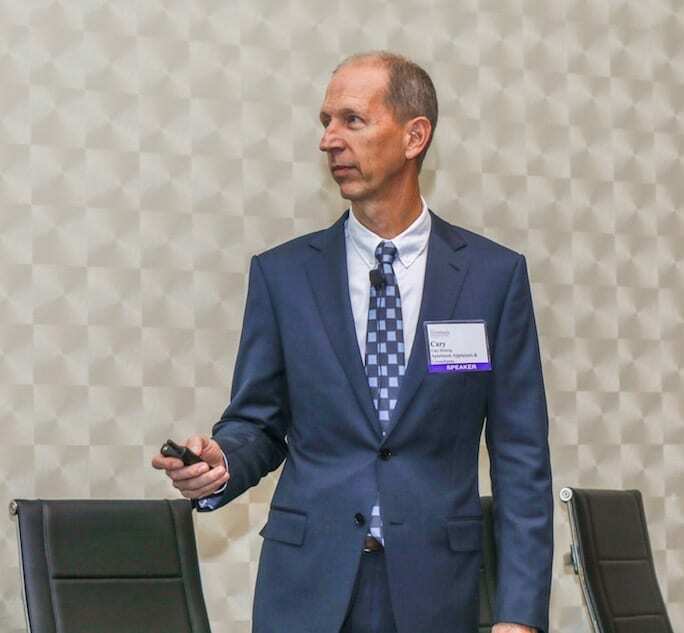 “When office buildings are not leased up, they are called ‘see-through’ buildings because you can see right through them,” Bruteig said at the CREJ conference. However, there are no see-through apartment buildings, other than when they first open for occupancy. “Apartment buildings always fill at some price level,” Bruteig said.